Years ago, Lt. Uhura befriended a diplomat from Eeiauo, the land of graceful, cat-like beings. The two women exchanged songs and promised never to reveal their secret. Now the U.S.S. Enterprise™ is orbiting Eeiauo in a desperate race to save the inhabitants before a deadly plague destroys them. 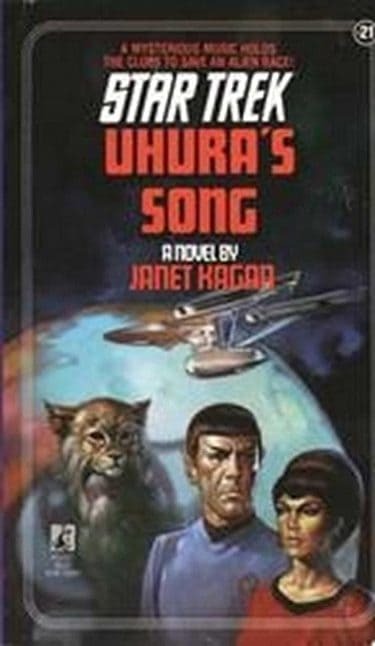 Uhura's secret songs may hold the key to a cure -- but the clues are veiled in layers of mystery. The plague is killing humans, threatening other planets -- and Kirk must crack the code before the Starship Enterprise succumbs!